Please be informed that Johor Sand & Granite Lorry Operators’ Association will be organizing a Johor Bus, Truck & Components Exhibition (JBTC EXPO) 2016 on 12th - 14th August 2016 at Danga City Expo, Johor Bahru. Have you driven a Truck before? Why not join our JBTC SCANIA Driver Competition! Prizes are given every 2 hours. You may be the Champion! 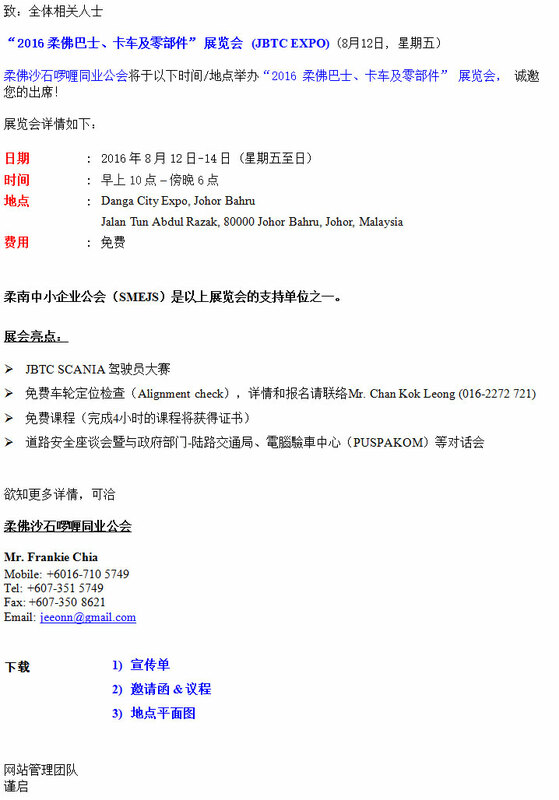 FOC for ALL wheels alignment check & report given by JOSAM, just drive your truck / buses to the Danga City Mall during (3) days Expo, please call Mr.Chan Kok Leong (016-2272 721) for booking. Free Defencing Driving Lesson & Road Safety Course - Attendance Certificate will be given for completion for 4 hours course during exhibition. Road Safety Forum, Dialoged with JPJ, SPAD, JKJR, MIROS, MAI & PUSPAKOM open to public. Join us & share your opinion. 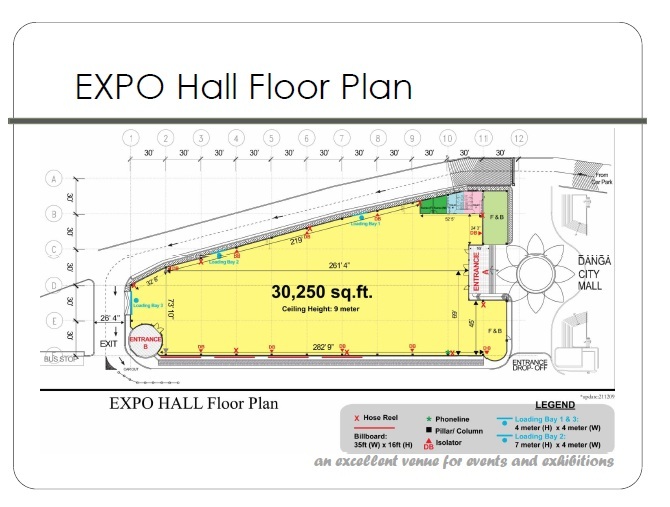 The objective of the expo is to provide another type of service and platform to serve the members as well as to create a networking with the transportation and logistics industries for market players who would like to penetrate into Southern Malaysia’s market especially in the recent booming projects such as Melaka Second Islands Development and Johor Iskandar Development. JBTC EXPO will become the one and only comprehensive gateway for the manufacturers, distributors, bankers and finances to collaborate in this fast growing transportation and logistics industries.